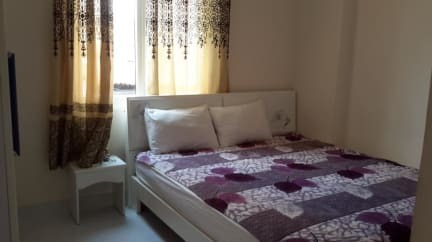 Saigon Inn offers Standard Double rooms, Superior Double rooms, Deluxe Double rooms, Triple room and 5 bed dormitory room. 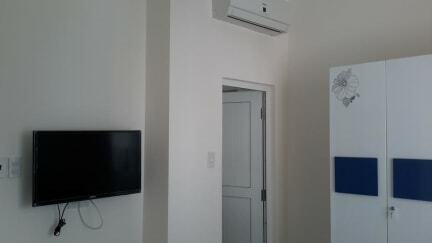 The property also provides free WiFi, extra bed, and hot shower. All the rooms at Saigon Inn come fitted with clean linen sheets and large windows offering ample sunlight. Featuring a shower and free toiletries, bathroom facilities are either shared or en suite. - If cancelled or modified up to 3 days before dates of arrival, no fee will be charged. - If cancelled or modified later or in case of no-show, 100% of the first night will be charged. - 100% of the first night may be charged anytime after booking. An amazing place - felt more like staying with family than at a hotel! The staff were lovely and helpful (I would give them an 11 if I could!) and the breakfasts every morning were incredible. Highly recommended. This hostel was amazing! The breakfast was amazing and the staff was the friendliest people I have met in all of Vietnam. The rooms were very clean and nice! The staff made every effort to make our stay enjoyable. Would definitely recommend to anyone going to Ho Chi Minh City. This hostel was very cute and the staff were so friendly. The breakfasts were delicious and they made you feel very safe. The tours I booked through them went perfectly. The beds were big and confortable but the room a little small. There was a small cute rooftop too so we could find some quiet space. The only thing I thought was a shame was the lack of a common area, which meant it was hard to socialise with people outside your room. It's also still quiet even though its so close to the bars. Its Chad from BC, Canada here. I did my research and was very happy with the Saigon Inn. The breakfast was amazing. They even provided a menu with different types of cuisine to choose from. I chose the Vietnamese cuisine and it was delicious. The location is very Central to district 1 yet this hostel is through an alley which resulted in a very quiet stay. The staff was very supportive and the security was very good. The only downside is the bed I slept in was very firm. A great little hostel in the heart of the party scene. The staff are excellent in every way, and the dorms are clean and comfortable. The best part about this place is the free breakfast, you order off a menu and they cook it right before your eyes and serve it to you. There are probably about a hundred choices and I’m sure all of them are good. But good luck finding this place, it’s challenging & stressful. When looking for it, just remain calm & remember to breath. Really nice staff. Very clean. As a solo female, I didn’t love having to walk back through the windy alleys at night to get here but never had any issues and otherwise a really great stay! Lovely place to stay when you visit Saigon. The breakfast is amazingly good, as well as the service of the staff. It is a rather small hostel, but still social if you want to because you’ll eat your breakfast with the other guests. I slept in a double room and the other night in the dormitory, which were both fine and worth the money I paid for it. When you look for a quiet and comfy place with a gooood breakfast in district 1 (backpackers area), book this one. The hostel itself is located extremely close to the main strip for clubbing and bars in D1 however it is down a side alley which I suppose some solo female travelers could feel uncomfortable navigating at night. The staff were really friendly and welcoming. The room was tidy and clean (except the areas behind the tv and mirrors) the free bottles of water was a nice touch. The bathroom had a some mould but nothing too untoward. At breakfast there was a good selection overall recommend. Friendly staff and tasty breakfast, although I was strangely woken to have breakfast! Dorm rooms very small and its a tight squeeze past someone else to get to the bathroom - 2 bathrooms per dorm was good though. Good location for partying - would recommend away from bui vien if you want rest. A littlw tricky to find.